Hasna Hena, class IX class teacher of Viqarunnisa Noon School and College was sent to jail on Thursday in a case for provoking a student to commit suicide. 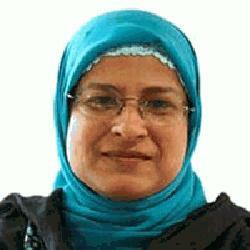 Dhaka Metropolitan Magistrate Abu Sayeed passed the order rejecting her bail prayer. Earlier on Wednesday night, detectives arrested Hasna Hena from a hotel in city’s Uttara area. DB inspector Qamrul Hasan Talukder, also the investigating officer of the case, produced Hasna Hena before the court with a plea for not giving her bail. On the other hand, the teacher's lawyers sought bail for her. The IO placed his report before the court and said if released on bail, she would flee and obstruct the case investigation. A high official of the DB told media that the two other accused, the principal and head teacher, are likely to be arrested if they do not surrender before the court by today (Thursday). Governing body of the school suspended the three teachers on Wednesday following instruction given by the Education Ministry.